Being part of a community can sometimes involve acting together for the common good. Local environmental problems, or safety concerns after dark, for instance, are issues that could require collective action for change. If you want to call on the community to act on a particular issue, you must begin with a strong and persuasive letter to all community residents outlining the problem and suggesting a course of action. Your letter needs to make the community see the problem as its own, and therefore be willing to act together for the common good. Below we will offer some general tips for your letter's content. In order to make sure that you communicate effectively to the widest possible audience, use WhiteSmoke Writing Software. 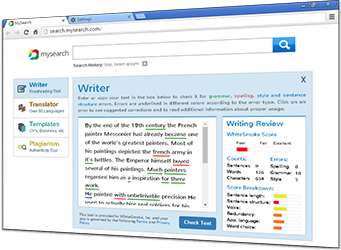 WhiteSmoke Writing Software provides a full suite of proofreading tools, as well as additional language aids such as an online dictionary, a thesaurus software and a unique enrichment feature to expand your vocabulary and give your letter the persuasive edge it requires. Outline the issue clearly, with just the facts. Point out how it is a problem shared by the entire community. Suggest a potential course of action, and appeal for support. Offer date and time for a community meeting to discuss the matter further. Following these tips will get you some way towards a good letter calling for community action. WhiteSmoke Writing Software will make sure that the effort you put in is not in vain due to grammar, spelling or punctuation errors; mistakes that WhiteSmoke can fix almost instantly. Correct use of English grammar will make sure your appeal to the community is taken seriously and resonates with your readers. 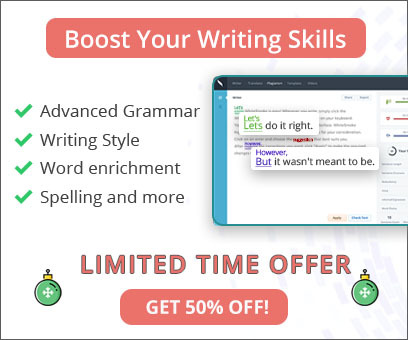 Beyond fixing grammar and spelling, WhiteSmoke can also scan your texts with its unique enrichment feature and suggest powerful synonyms and additional words to make your writing even more persuasive. For a variety of writing situations, you can also find over 600 letter templates.